How can I find players for my team? If you're looking to find players to play for your team, sign up to sign up to Get Your Boots On and give your squad a boost! Get Your Boots On is a simple-to-use online platform that brings teams, players, and football providers together, helping them to find their perfect football match! Just simply sign up for FREE, enter some details about the football you offer, and you'll find players that match! 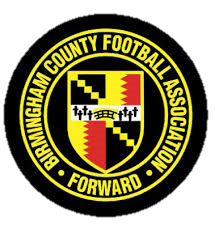 Please note: Get Your Boots On is available to Birmingham FA affiliated clubs only.